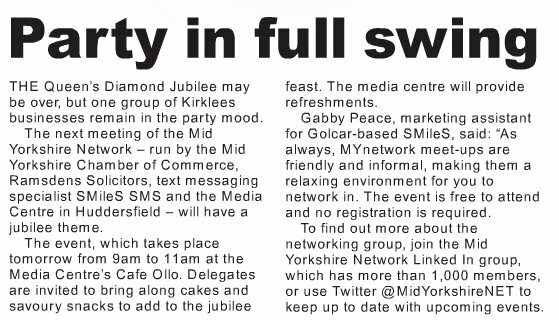 Posted on June 19, 2012, in SMileS Features/Articles and tagged Mid Yorkshire Chamber of Commerce, Mid Yorkshire Network, MyNetwork, Networking, Ramsdens Solicitors, SMileS SMS. Bookmark the permalink. Leave a comment.